(Bloomberg) -- New York developer Felix Sater is due to testify in Congress this week about his role in Donald Trump’s attempt to build a luxury tower in Moscow. A lawsuit filed Monday may provide new fodder for his inquisitors, with its claim that Sater, a longtime associate of Trump’s, sought to use money stolen from a bank in Kazakhstan to help develop the building. The suit by BTA Bank JSC alleges that Sater and the wealthy Kazakh businessman Ilyas Khrapunov explored financing the tower deal in 2012 with some of the $4 billion stolen a decade ago by Khrapunov’s father-in-law, ex-BTA Chairman Mukhtar Ablyazov. While the Moscow plan fizzled, other transactions tied to Sater helped launder the purloined cash, the bank says. Sater, 53, will testify before a closed-door session of the House Judiciary Committee. He was also scheduled to appear publicly before the Intelligence Committee on Wednesday, but the hearing was postponed on Monday. A central focus of his testimony is expected to be Trump’s longtime effort to build a Moscow tower. The president’s former personal lawyer, Michael Cohen, has previously said Trump sought to build in Moscow through the entire 2016 presidential campaign. The complaint doesn’t say how far the financing talks got or how much money would have been spent on the Moscow tower, which was never built. Nor does BTA say how it learned about the talks. Trump isn’t accused of knowing of Sater’s alleged scheme. Still, Congress is likely to explore some of the allegations raised by BTA. The Almaty-based bank came up in Cohen’s Congressional testimony last month. In 2012, Sater was a senior adviser to Trump, maintained an office in Trump Tower in Manhattan, and had the real-estate mogul’s name emblazoned on his business cards. “Sater not only met with Ilyas Khrapunov in Trump Tower to discuss laundering the stolen funds, but he also personally arranged meetings between Ilyas and Donald J. Trump to discuss possible investments,” the bank’s lawyer, Matthew L. Schwartz of Boies Schiller Flexner LLP, said in the complaint. Sater, in a statement, denied BTA’s “baseless allegations." He contends the bank owes money to a small company he founded that was hired by BTA to help recover assets in the case. On Sunday, Attorney General William Barr reported that Special Counsel Robert Mueller didn’t find that Trump’s campaign conspired with Russia in its effort to influence the 2016 election. The House Intelligence Committee said it postponed Sater’s public appearance to make time to question witnesses from the FBI and Justice Department about Mueller’s probe. The lawsuit is the latest twist in BTA’s decade-long quest to recover at least $4 billion allegedly siphoned from the bank by Ablyazov through a web of bogus loans and secret shell companies. The real-estate deals were allegedly used to help Ablyazov dodge a worldwide freezing order issued by a London court in 2009. Ablyazov has denied wrongdoing and claims the bank’s claims against him are politically motivated because he opposed Kazakhstan’s longtime former president, Nursultan Nazarbayev. With its claim that Sater joined in the scheme by helping Ablyazov and Khrapunov launder a portion of at least $440 million of the stolen funds invested in U.S. and European real estate, the bank has opened a new front in litigation that stretches from Kazakhstan to Europe to New York. Monday’s lawsuit is the first time BTA has accused Sater of knowingly participating in the money laundering scheme. Sater, a U.S. citizen who was born in Russia, was introduced to Khrapunov and his father, Viktor Khrapunov, the former mayor of Almaty, around 2007 by the founder of Bayrock Group LLC, Tevfik Arif, according to the complaint. They worked together on several investments in Kazakhstan, including oil and coal exploration projects, years before their talks about U.S. real estate. BTA claims that beginning in 2011 Sater helped Ablyazov and Khrapunov launder about $40 million through a number of U.S. business transactions, and that he pocketed as much as $20 million in stolen money as part of a falling out with them. Those transactions are at the center of the lawsuit, which seeks return of the money and unspecified damages. With Sater’s help, BTA claims, Ablyazov and the Khrapunovs moved about $40 million from shell companies into U.S. deals including a Cincinnati mall, a mental-health facility in Syracuse, New York, and an allegedly fraudulent medical-testing device company that they allegedly used in an immigration fraud scheme to benefit the Kazakh family. Sater also tried to help the Kazakhs stash stolen money overseas, including in Moscow real estate, and discussed Trump’s Moscow tower, according to the suit. 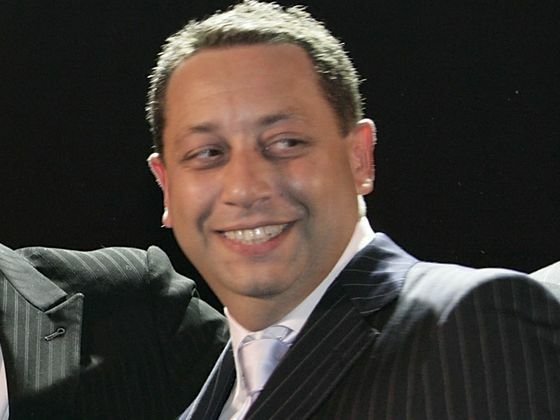 The bank also says Sater personally profited from money stolen from BTA and then used to purchase three units at the Trump SoHo luxury tower in Manhattan, which Sater helped develop as a partner at Bayrock. The three units in the Trump Soho were bought by Ilyas Khrapunov’s sister, according to the complaint. “Due to his close relationship with Ilyas and the Khrapunov family, and his regular discussions with Ilyas regarding the worldwide freezing orders, Sater knew that these funds were tainted,” BTA claims. Sater has twice pleaded guilty to felonies and cooperated with U.S. prosecutors in unrelated investigations. He also assisted BTA in its lawsuit against the Khrapunovs, but fell out with the bank after Sater was revealed to be the owner of Litco LLC, the small litigation-consulting firm that the bank had hired to help gather evidence and witnesses in the lawsuit. The judge in the case is reviewing allegations that BTA, which paid Sater’s firm $2.5 million for its work, violated the law by paying a key witness. Last month, Trump’s ex-attorney Cohen told the House Oversight Committee that in 2017 he signed a 12-month contract worth $1.8 million to provide BTA with legal consulting work on its earlier lawsuit against Ablyazov and his alleged co-conspirators. The deal fell apart after a few months because Cohen didn’t follow through, the bank said. Viktor Khrapunov, now living in Switzerland, is also a defendant in the bank’s 2015 lawsuit in New York, accused of stealing hundreds of millions of dollars from the city and co-mingling some of it with Ablyazov’s allegedly stolen cash. The Trump Organization has previously said it had no business dealings with Ilyas Khrapunov, who also resides in Switzerland. The Khrapunovs’ lawyer didn’t have an immediate comment on the new lawsuit. In response to BTA’s earlier suit, the Khrapunovs have said that money they invested in the U.S. didn’t come from Ablyazov. They say it came from Gennady Petelin, a former Kremlin operative who resides in California and is seeking asylum. Petelin, the chief of staff to former Russian Prime Minister Viktor Chernomyrdin in the 1990s, has said he enlisted Khrapunov to invest hundreds of millions of dollars he got over a decade ago from selling shares in the Russian energy giant Gazprom PJSC. BTA claims Petelin is a "front man" for Ablyazov and doesn’t have the resources to make the investments identified in the suit. Petelin, who isn’t accused of wrongdoing in either case, has a familial link to those accused by BTA. Petelin’s son is married to Ilyas Khrapunov’s sister. Petelin’s lawyer, Eugene Illovsky, didn’t immediately return a call.